Prep: Open package and squeeze onto salad, appetizer or entree. 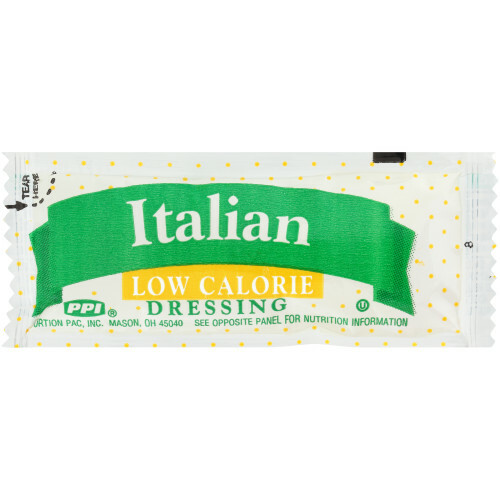 PPI Italian Dressing is a classic flavor served in an easy to use packet. The single serve packets are the perfect portion for your consumers who are looking to add a great burst of authentic Italian flavor on the go. Just because you are on the go, that doesn’t mean you can't enjoy a great taste! 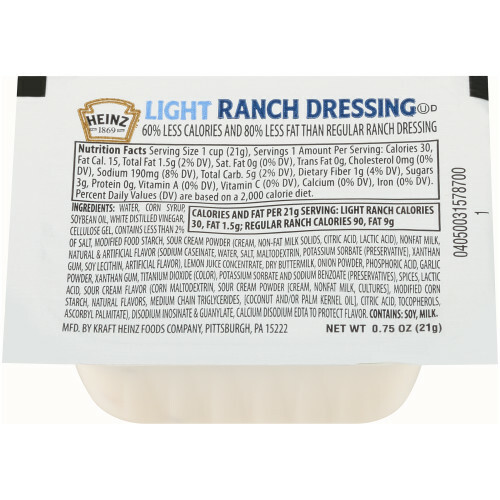 HEINZ Light Ranch Dressing is available on the go to use for your salads, sandwiches, or snacks. 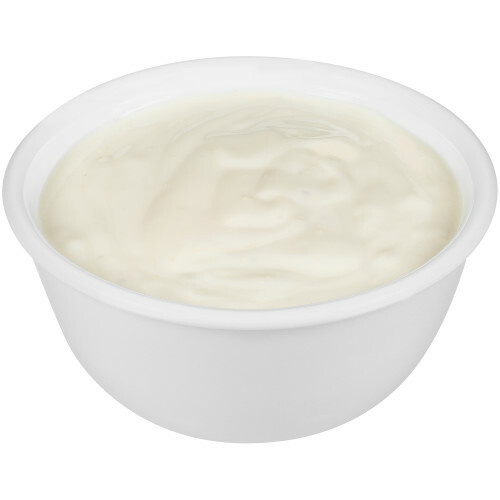 This dressing let's you enjoy the same creamy taste as the original, but with less fat. 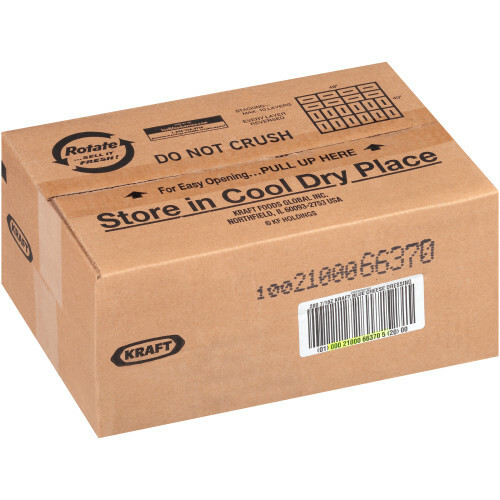 With a brand name people know and love, HEINZ is trusted to deliver great taste. 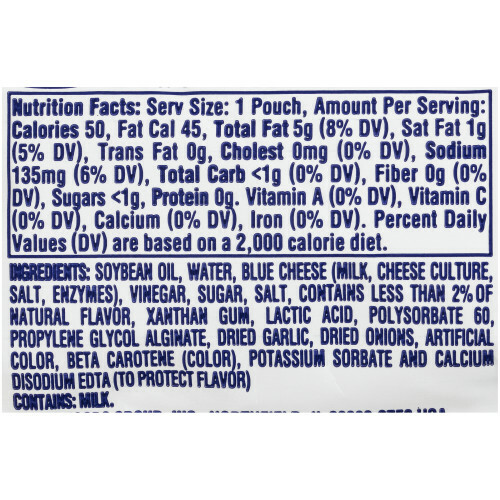 PPI Low Calorie French Dressing is a classic flavor served in an easy to use packet. The single serve packets are the perfect portion for your consumers who are looking to add a great burst of flavors on the go. 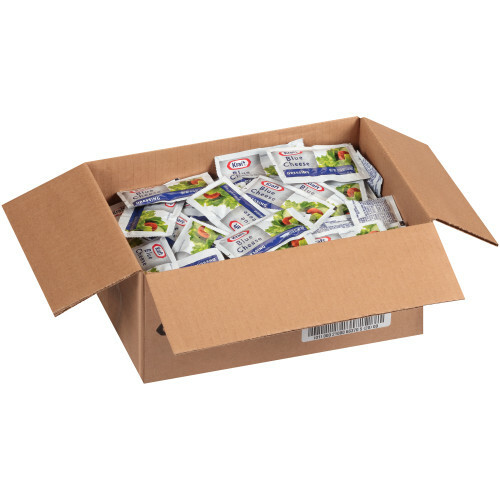 These packets are also perfect for patrons who are looking to be more health conscious with their condiment choices but are not willing to sacrifice great flavor. Just because you are on the go, that doesn’t mean you can't enjoy a great taste! 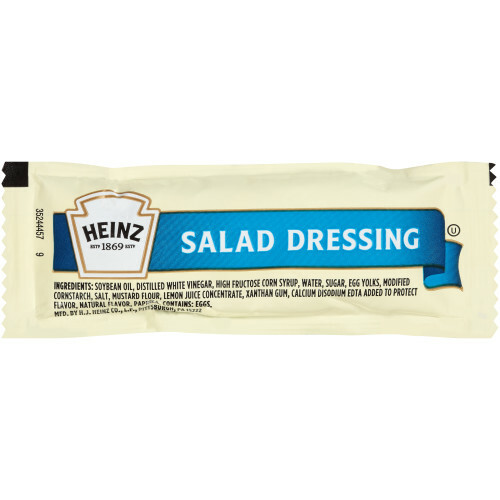 HEINZ Salad Dressing is a classic taste that goes great with a variety of entrées. 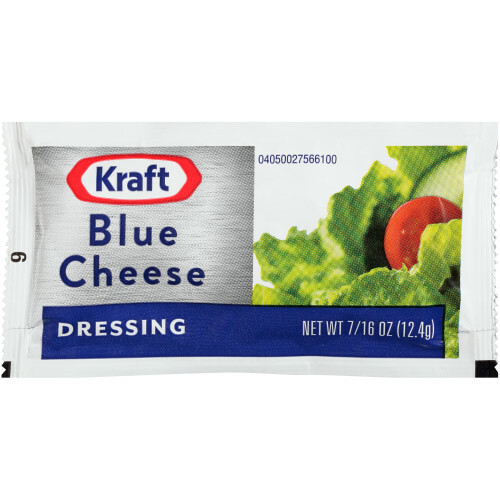 The mildly tart dressing is in a convenient 12 gram pouch so that your patrons can easily add a delicious flavor to their meals.